Inclusions The base kit comes with 24 x 5lb plates plus 4 x 2.5lb plates. Dumbbell Handles and Locking Screws. Dumbbell Storage Stand. The Ironmaster Quick Lock Adjustable Dumbbells are your solution to your dumbbell nightmare. 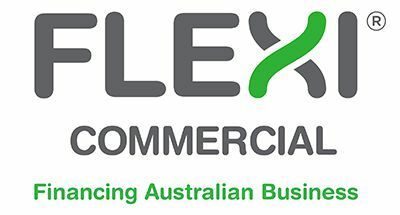 Being the world's strongest adjustable dumbbell, they are the middle ground between a commercial set of dumbbells and your basic spin lock adjustable dumbbells. 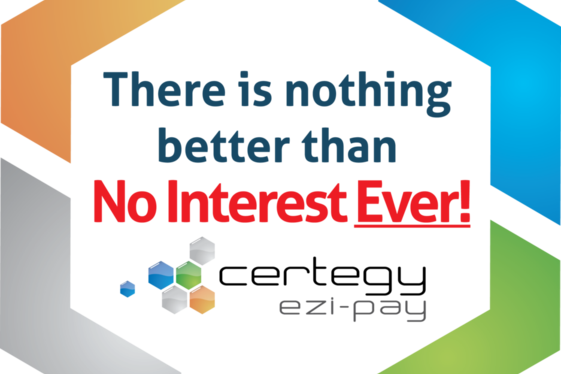 They offer the best mix of ease of use, range of weight, space utilisation, quality and price. 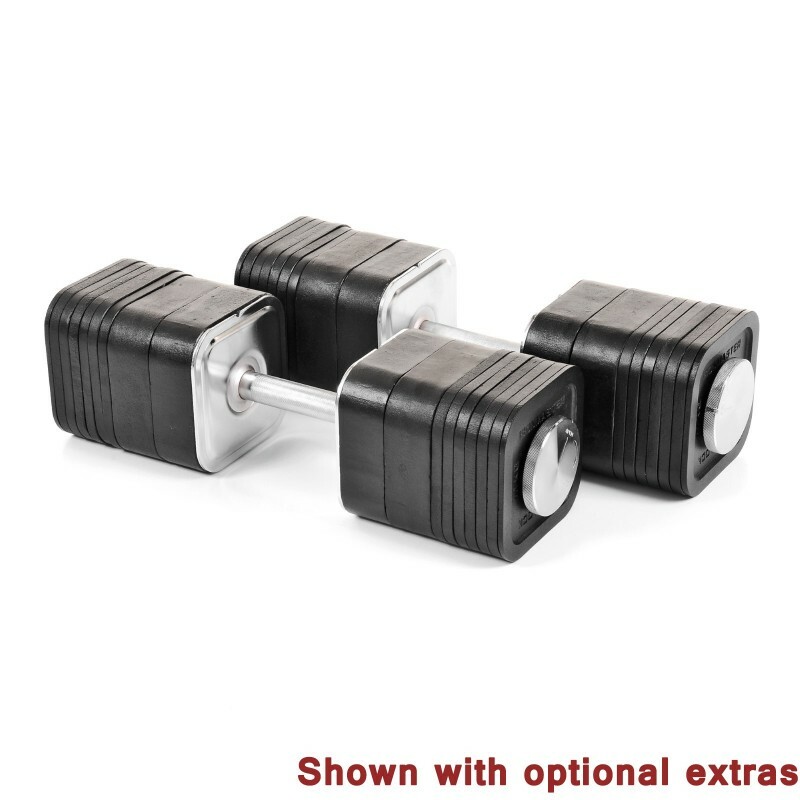 HEAVY DUTY - Unlike other adjustable dumbbells on the market, they are made from real steel and iron. The handles are made from high grade steel, welded and plated with chrome. The weight plates are precision cast and hand machined. EASY TO USE - Patented Quick Lock design makes weight changes from 5lbs to 75lbs in seconds. WEIGHT COMBINATIONS - You can increase in weight in 2.5lbs increments - imagine how many fixed dumbbells you would need to match this. Perfect for micro loading for strength gains. 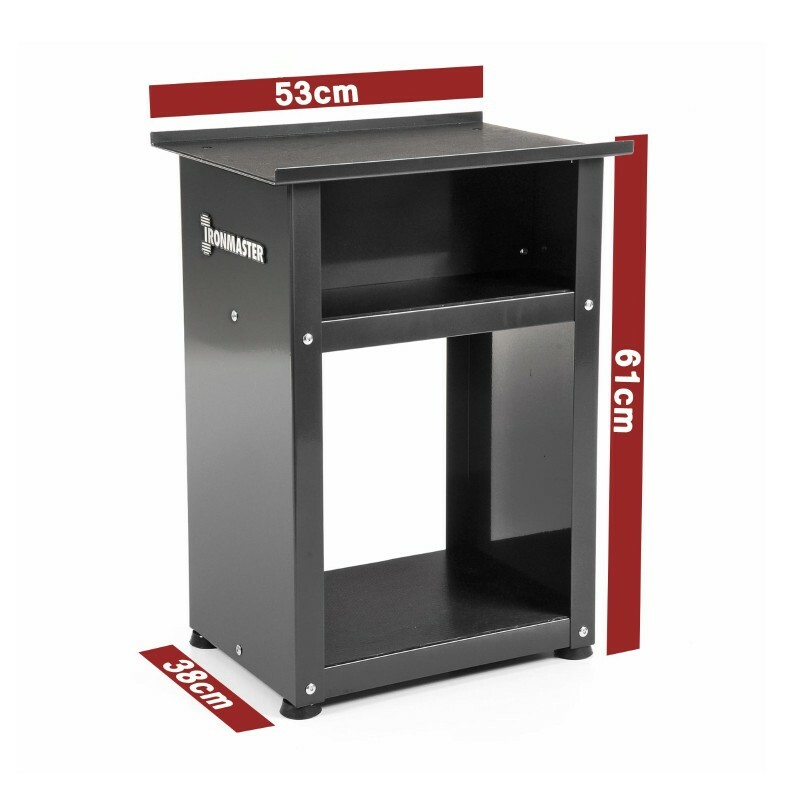 COMPACT - The heavy duty stand, which is included free, takes up much less space in your gym compared to a rack of dumbbells. EXPANDABLE - Optional add on kits available. 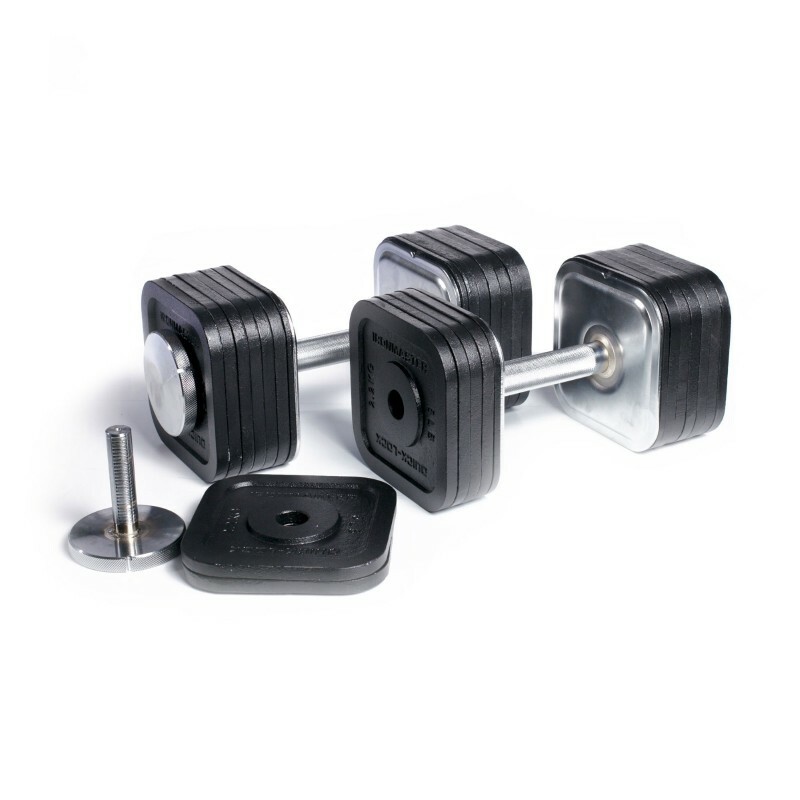 Expand your Ironmaster dumbbells out to 120lbs with the Add on Kit. For further progressions, check out the 165lbs Add on Kit. Whether you are just starting out in weight training or training for Mr Olympia, dumbbell training is excellent for building or maintaining both strength and muscle mass. The Ironmaster Quick-Lock Dumbbells allow you to adjust each dumbbell from 5-75lbs (2-34kg) in seconds. There are 15 combinations in total. A rack of fixed dumbbells with this many combinations would take up a heap of space and cost a fortune. 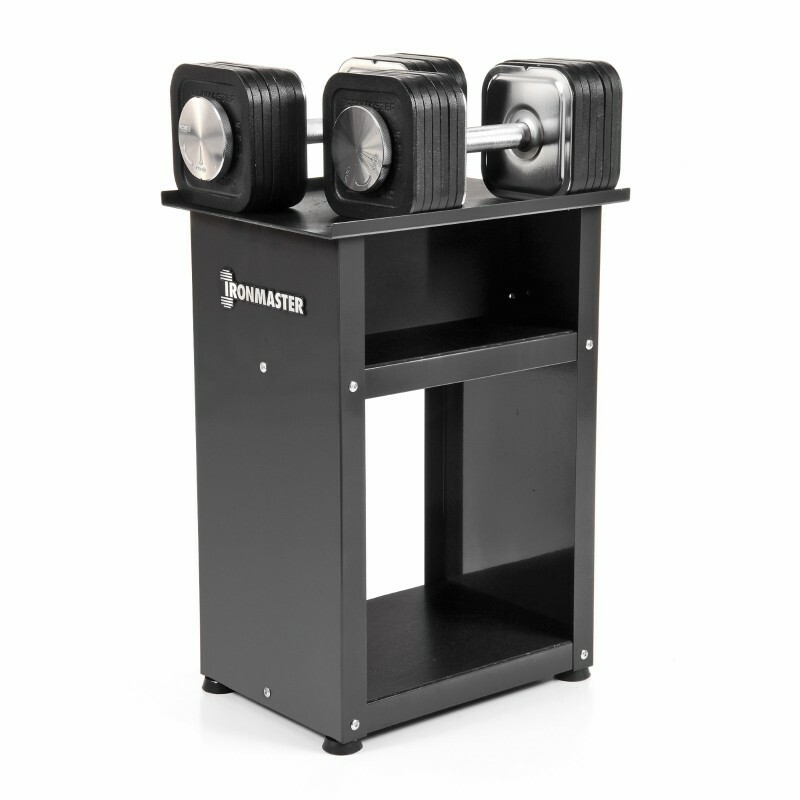 The Ironmaster Quick-Lock Dumbbells provide a cost effective and space efficient way to do your dumbbell training. 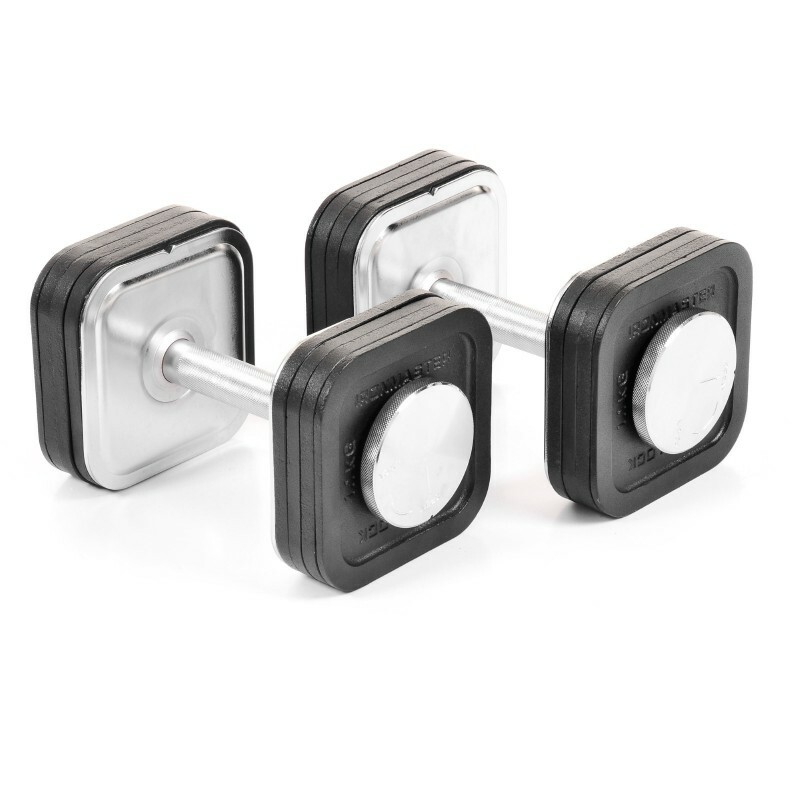 The Ironmaster Quick Lock Dumbbells are designed for serious weight training. The handles are made out of chrome plated solid steel. They weigh 5 pounds alone. The grip is really thick and knurled. 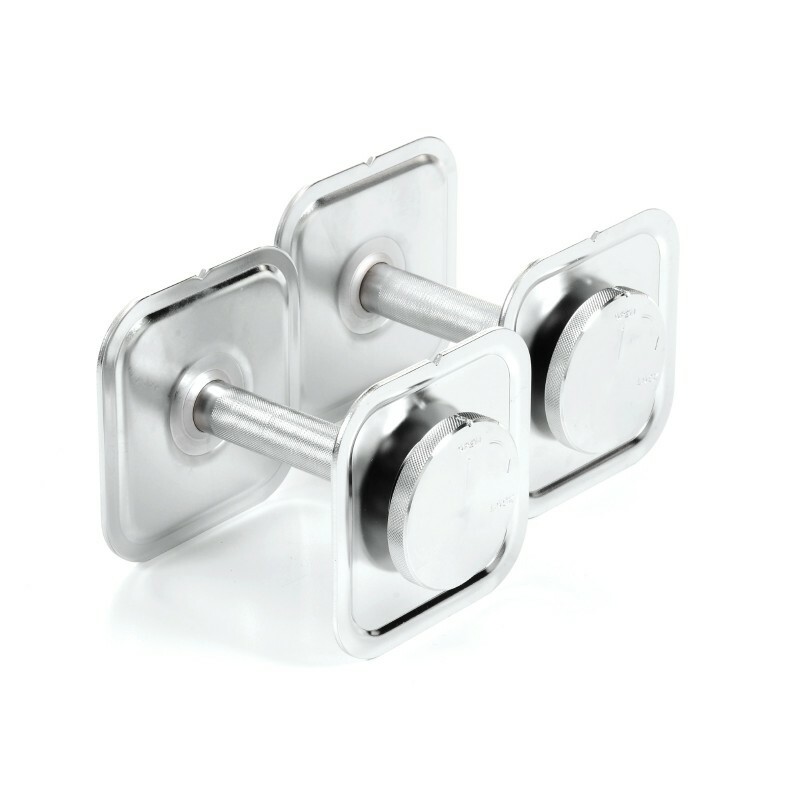 The weights are made out of rugged precision machined iron - capable of withstanding dropping. 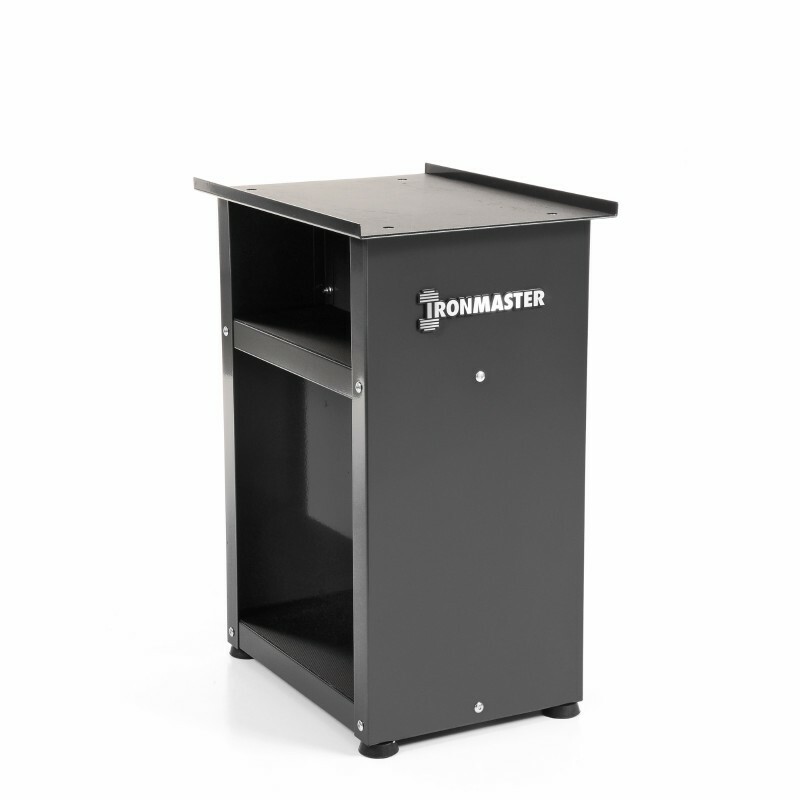 Ironmaster back it up with a lifetime warranty for home use. There are other adjustable dumbbells on the market but they are simply not heavy enough or are made with flimsy or plastic parts. 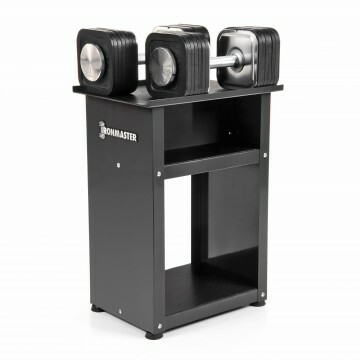 The Ironmaster Quick-Lock Dumbbells have been sold for years in the US market and have earned a reputation as being bomb proof. 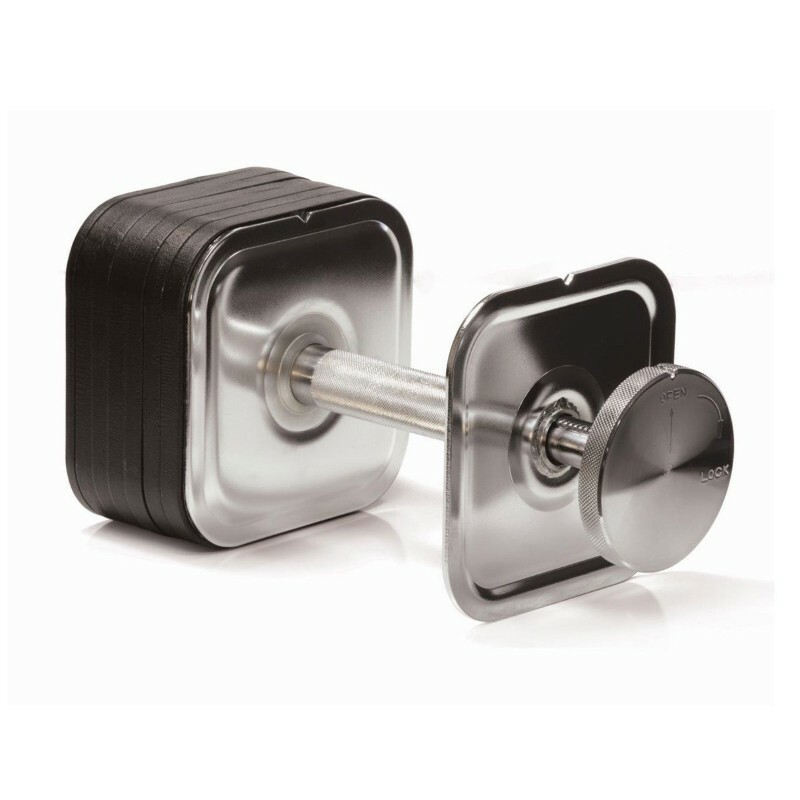 So if you are a serious weight trainer you will need an adjustable dumbbell that can cope with the rigors of hard training. Before they realize the cost and space associated with racks of fixed dumbbells, customers often state they don’t want the hassle of changing weight plates. The Ironmaster Quick Lock Dumbbells are a far cry from the old spinlock dumbbells that I think we all started out with. The patented Ironmaster Quick Lock system requires only a ¼- 3/4 turn and the locking screw slides straight out. The weight plates are hand machined and interlock so they don’t fly everywhere when the locking screw is out. The end result is that you can easily change weights in less than 30 seconds. This will give you something to do between your sets unless you are the kind of person who likes to gaze longingly at yourself in the mirror. Unlike the old spinlock dumbbells, the locking screws on the Ironmaster Quick Lock Dumbbells will not work their way loose through your set. 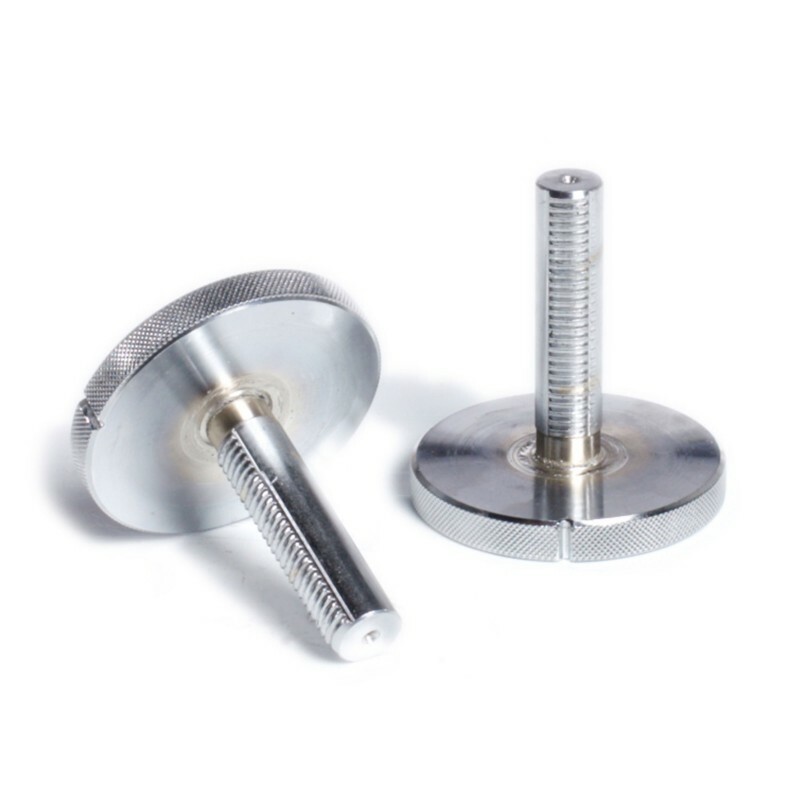 Another advantage of the Ironmaster Quick Lock dumbbells is that the locking screws have large rounded flat ends. This allows you to rest the dumbbells on your thighs and hoist them into place when you are doing heavy dumbbell training. When comparing the Ironmaster Quick Lock Dumbbells with racks of fixed dumbbells please take into consideration the weight combinations that are offered. 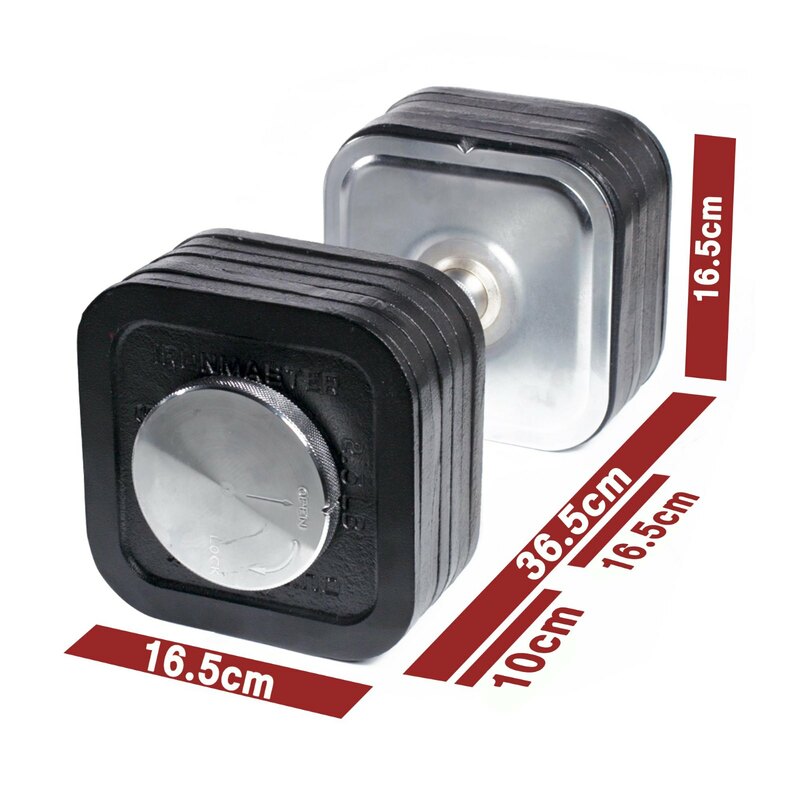 To keep pricing down, a lot of dumbbell packages have 5kg increments, especially with the heavier weights. For example 20kg, 25kg, 30kg dumbbells. Going up in 5kg increments with dumbbells is like going up 10kg on your bench press. These large jumps can really hinder progress because it is a shock to your system. The Ironmaster Quick Locks can be increased in 5lbs or 2.25kg increments. This is easier for your system to adapt and build strength and continue progressing. It also reduces the likelihood of injury from mishandling a weight that it is too heavy for your training level. The killer blow that sets the Ironmaster’s apart from other adjustable dumbbells is the Ironmaster Kettlebell Handle. This would have to make this set the most versatile piece of gym equipment on the market.